Our Parish - Holy Cross Orthodox Church has not. Our parish is named after the finding of the True Cross by Saint Helen in the early 4th century and we are privileged to have a relic of the Honorable Cross in our parish. 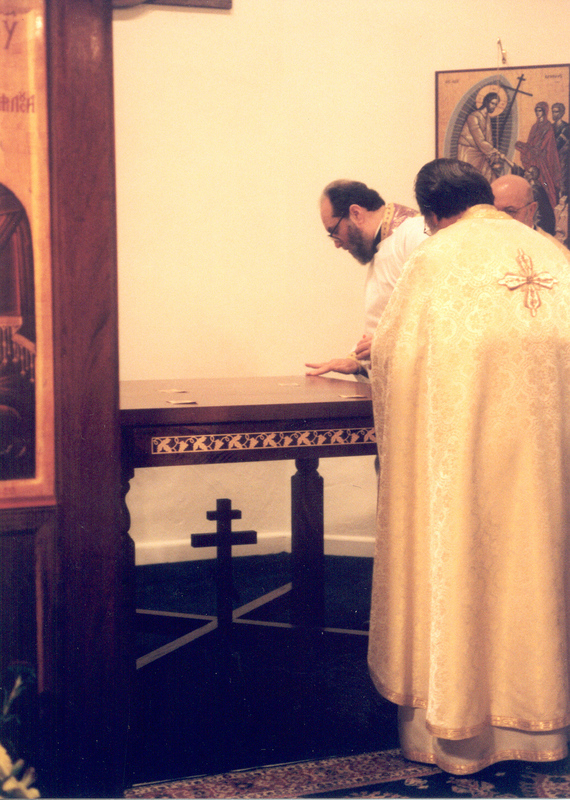 Holy Cross Antiochian Orthodox Church is a parish of the Antiochian Orthodox Archdiocese of North America. 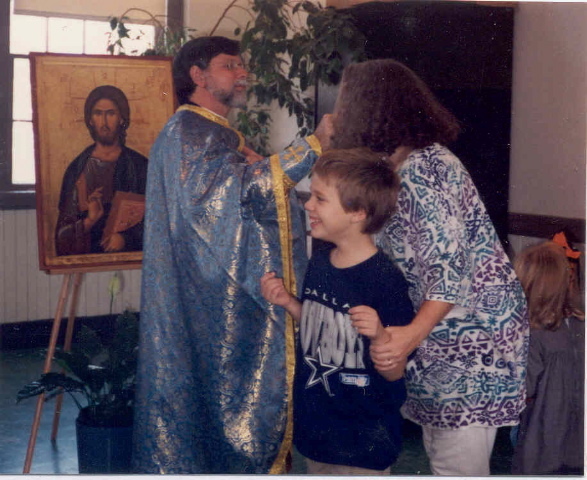 We began as a mission parish in early 1993 with six families who converted to Holy Orthodoxy. Today, our community numbers over 150 members, about half of whom are converts from several Protestant denominations. The other half were raised in the Orthodox Church in various traditions: Greek, Russian, Lebanese, Romanian, Ukrainian, Syrian and others. Our worship services are sung almost entirely in English with strong congregational participation, along with a fine choir and trained chanters. Service books provide text and music for those who are interested in following the order of service. Children are welcome, and though chairs are provided, most people stand through the services in the customary Orthodox manner. 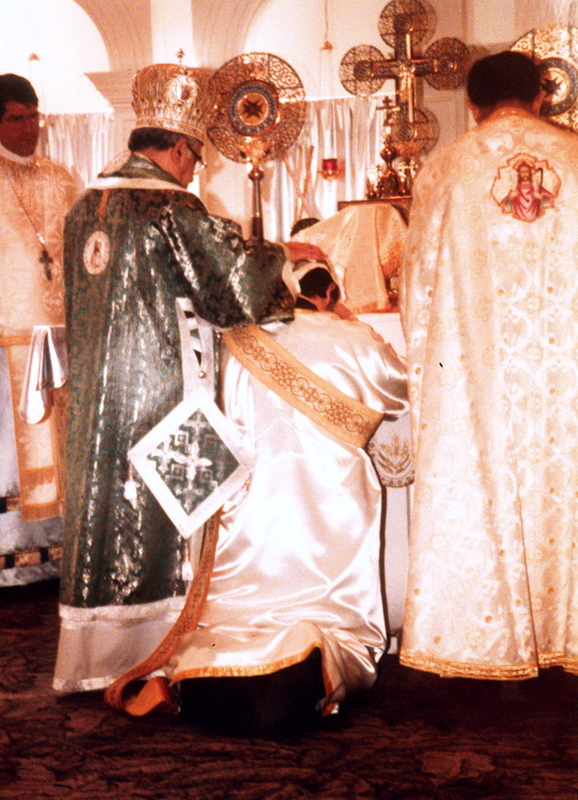 At the end of Divine Liturgy on Sunday, lunch is provided for all, and Sunday School based on Scripture and Tradition is held for children from preschool (age three) to high school. Concurrently, adults enjoy a time of fellowship, and sometimes a talk or presentation followed by a discussion. Holy Cross is a parish strongly commited to the belief that the Holy Orthodox Church is the Church of our Lord Jesus Christ and His Apostles. 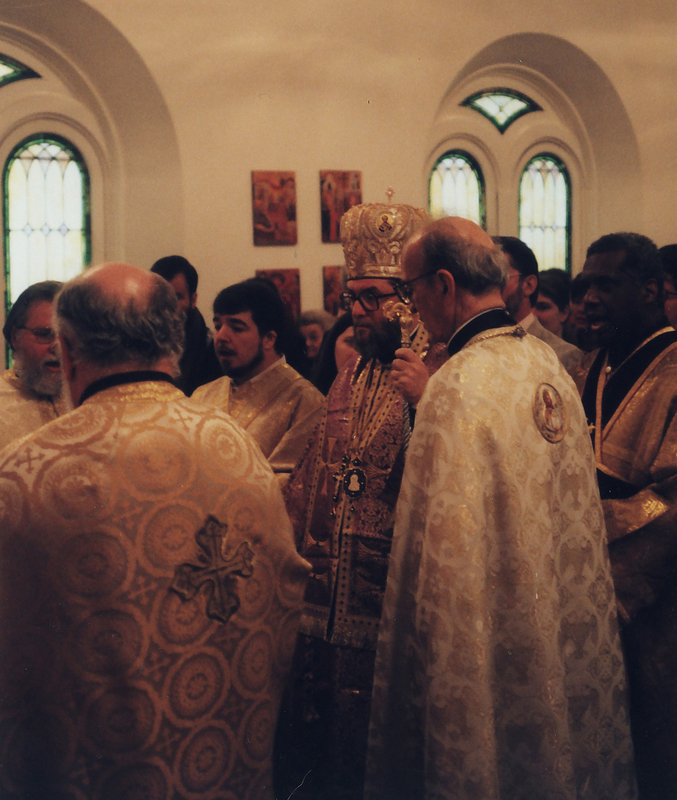 We are equally committed to the implications of that belief: that the Orthodox Faith requires a unity of faith and a unity of life, nourished through worship in the Divine Services, strengthened through prayer, fasting, and alms-giving, sustained by the intercessions of the Holy Saints, and lived every day of the week in the homes, schools, and workplaces of our people. On January 30, 1993, Fr. Gregory Mathewes-Green, his family, and 14 others were chrismated into the Orthodox Church, forming the nucleus of Holy Cross Mission. Fr. Gregory had been pastor of an Episcopal church in Ellicott City, but over the preceding years had become increasingly concerned about the theological drift in that denomination, as church leaders denied Christ’s Virgin Birth, miracles, and Resurrection. He encountered the Orthodox Church when he was invited to attend an informal gathering of Protestant clergy with Fr. Peter Gillquist. It didn’t take him long to discover that Orthodoxy was exactly what he was looking for. 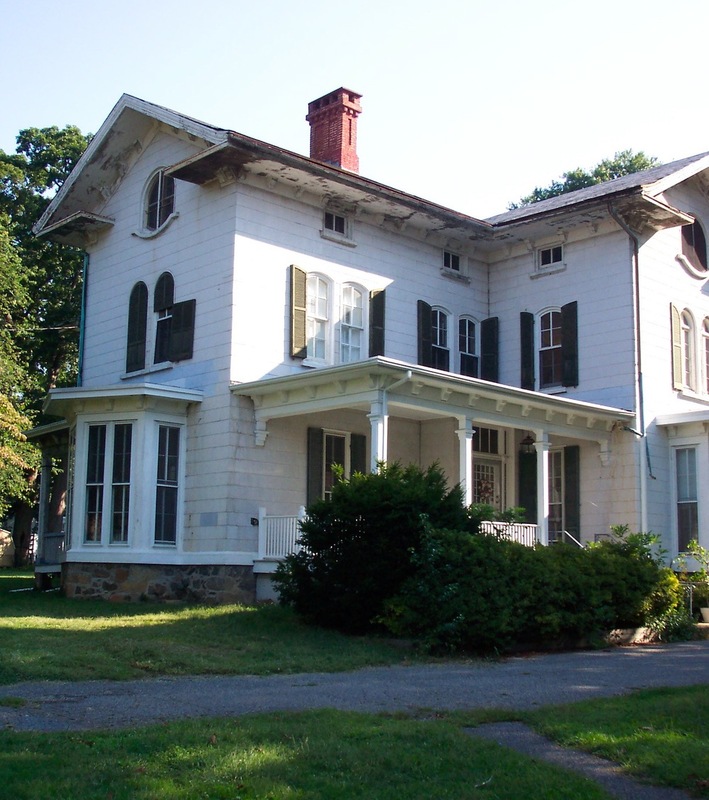 The newly-formed mission met initially in the 19th century rectory belonging to St. Timothy’s Episcopal Church in Catonsville, MD. 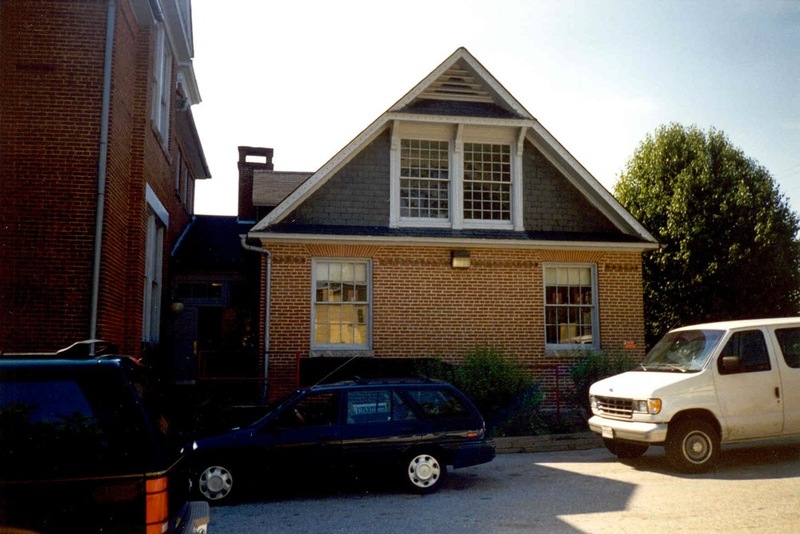 Before the end of that year, though, the mission had moved to a 19th century schoolhouse in Catonsville, which served as a medical daycare facility during work hours. 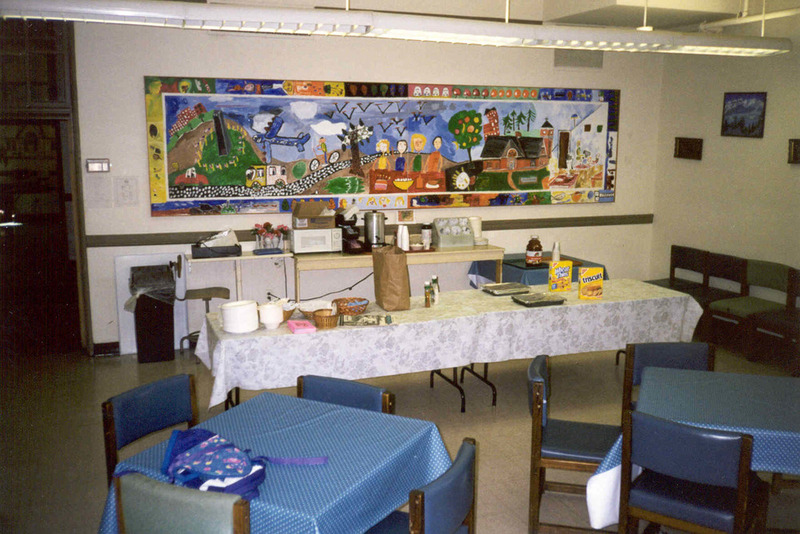 The mission had use of the building only on weekends and evenings, so the worship space had to be set up and taken down for every service. A wooden altar with shelves inside stored icons, candles, and other things needed for the liturgy. 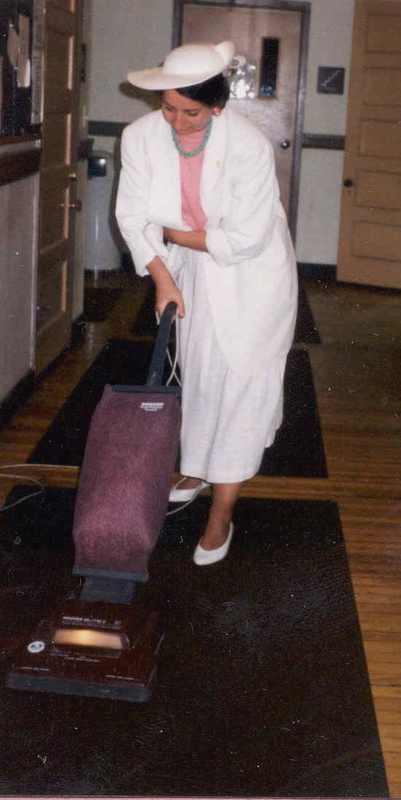 In 1995, Khouria Frederica began writing a journal of events and personalities in the mission. 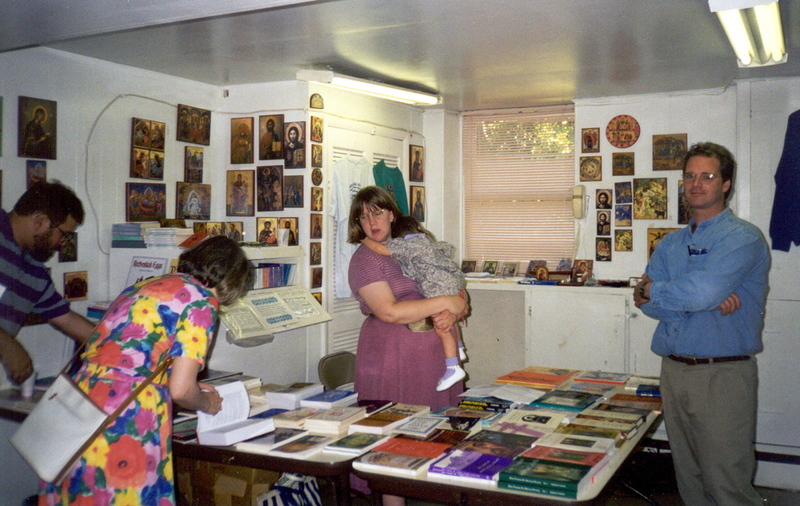 This book, Facing East: A Pilgrim’s Journey into the Mysteries of Orthodoxy, was published by HarperCollins in 1997. It appeared just as a nationwide trend emerged of American Protestants discovering the Orthodox Church. 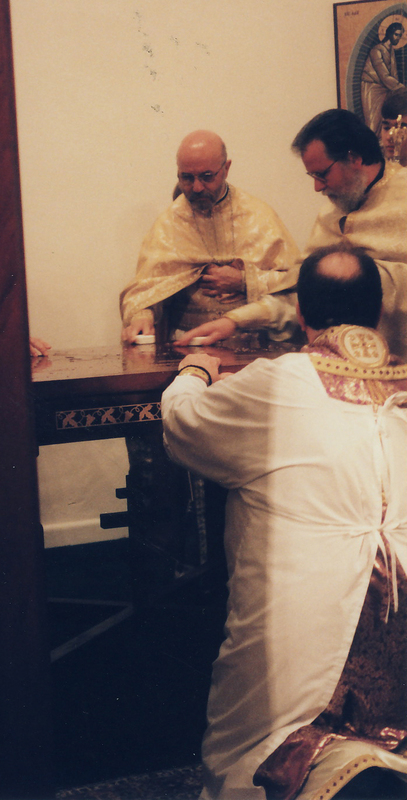 Father Gregory serving Communion for the first time as an Orthodox priest. Most of the original group of people who were chrismated. Missing: Jay, Jared, William, Greta & Lydia. This is the building where our first services were held. The bookstore was limited to what would fit in the trunk of a car. 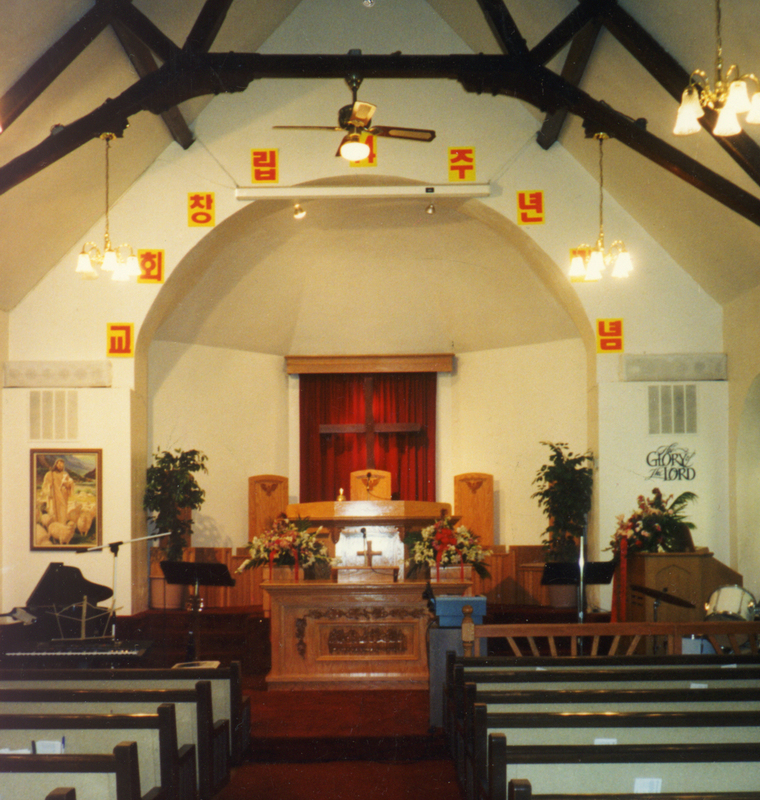 This is what the church looked like before we purchased it. The meeting that decided if we were going to buy the Church building in Linthicum. The service started with the greeting of Bishop Basil at the entrance of the church. Yes, those are bars of soap in their hands. The walls of the church are anointed with oil. 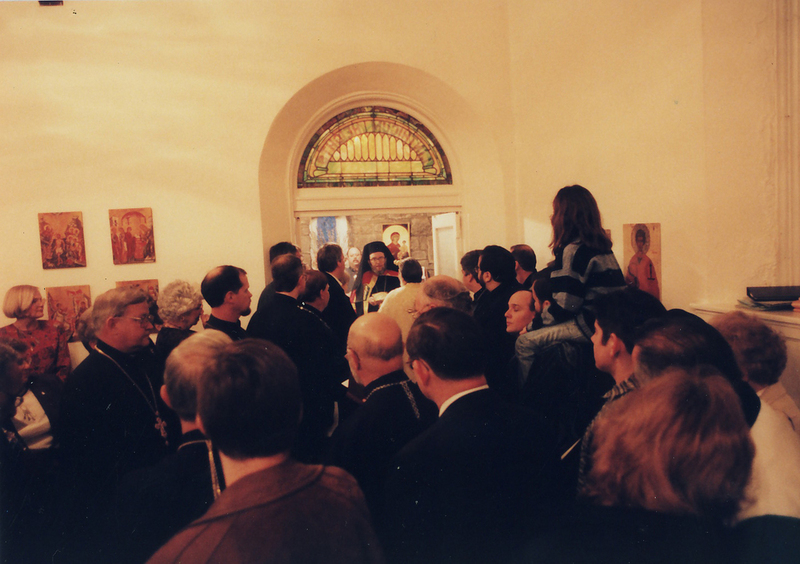 In 1996, the mission had increased in membership to the point that it began looking for a permanent building. 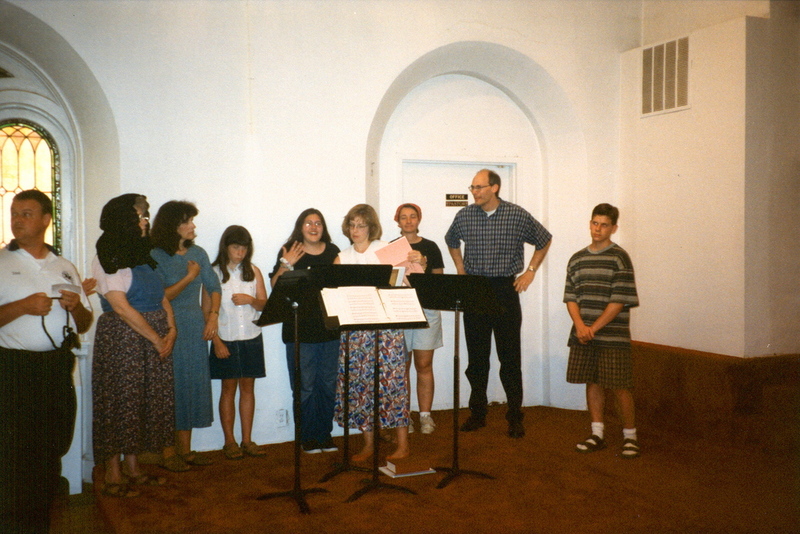 In 1997 the congregation voted to purchase a church building in Linthicum, MD. This church was built in 1911 by a Methodist congregation, and after that served as home to Baptist, Episcopalian, and Korean Pentecostal communities. 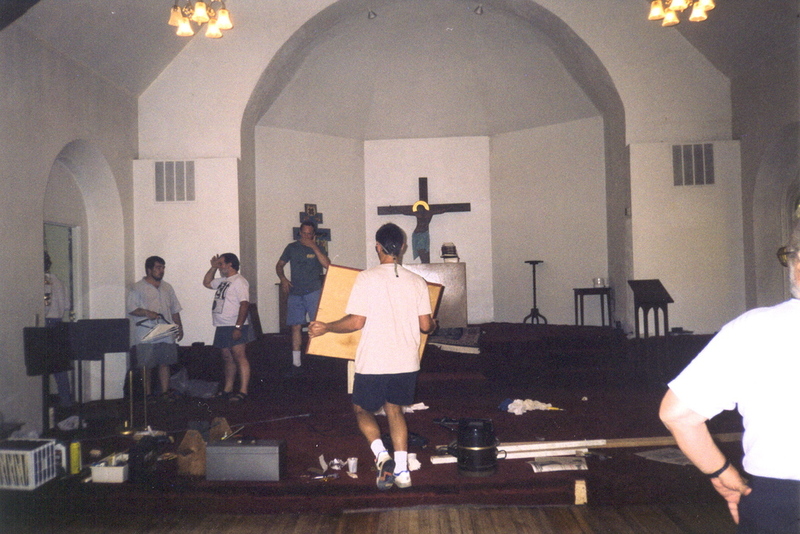 Holy Cross parishioners virtually emptied the church, removing the building’s pews, carpeting, and electronic sound system. When the hardwood floors had been sanded and sealed, and a row of icons had been set up as an iconostasis, it began to look like an Orthodox Church. Now that the congregation had grown to more than 50 families, the Archdiocese recognized Holy Cross as no longer a "Mission" but a "Church." 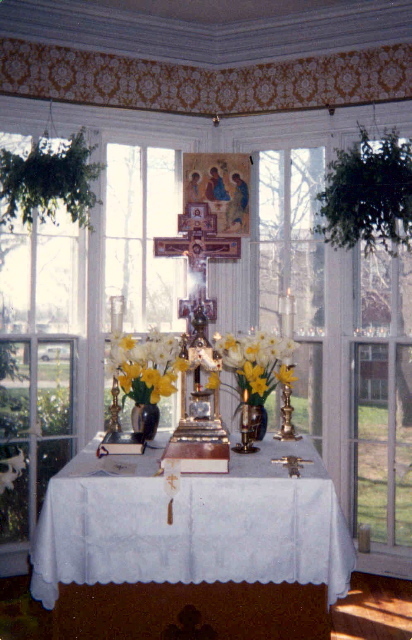 In time a parishioner crafted a mahogany altar and iconostasis. 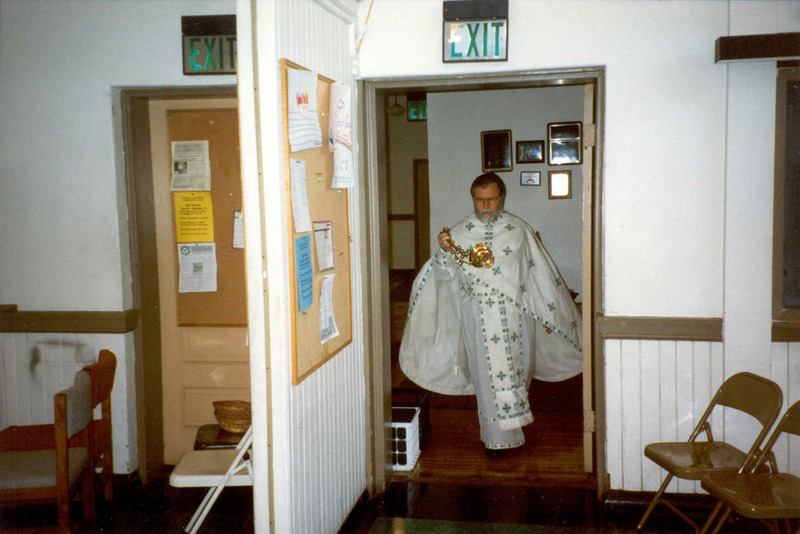 When the church building was consecrated by Bp BASIL of Wichita, on March 8, 1998, he placed in the upright cross beneath the altar a scroll listing the names of all church members, and relics of St. Andrew and St. Vincent the Deacon, then sealed with beeswax. He also gave us a relic of St. Blaise, which was to be sewn to the back of the antimens. Another parishioner, Carolyn Shuey, filled the iconostasis with icons. Most recently, parishioner Seraphim O’Keefe has been painting icons on the church’s interior walls. The church has continued to flourish and grow over the years. Four former members of Holy Cross have gone to seminary and been ordained priests: Fr. Gregory Czumak, Fr. Gregory Harrigle, Fr. Robert Miclean, and Fr. Stephen Mathewes. 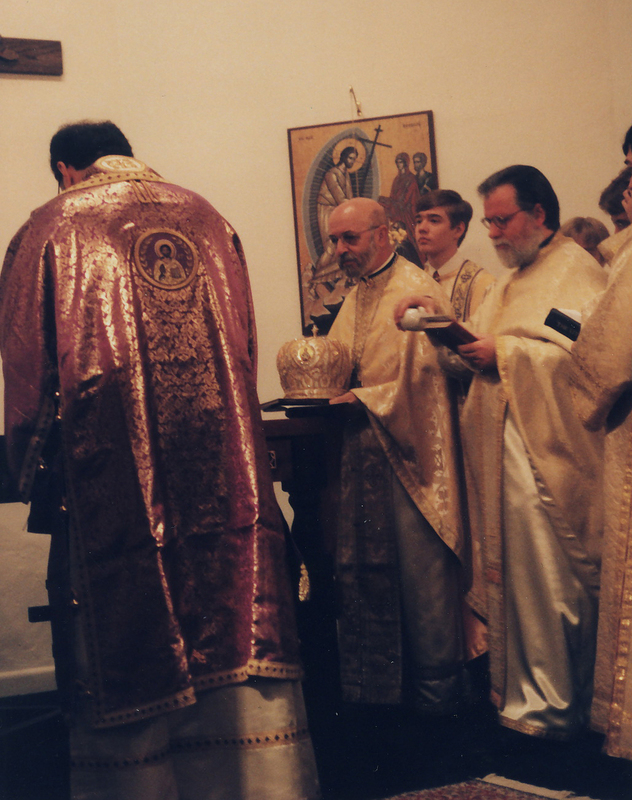 We have had been blessed with two deacons, Dn. Mark O'Dell and Dn. Peter Maris. It has also been a great help to have Fr. John Monto assigned to Holy Cross.